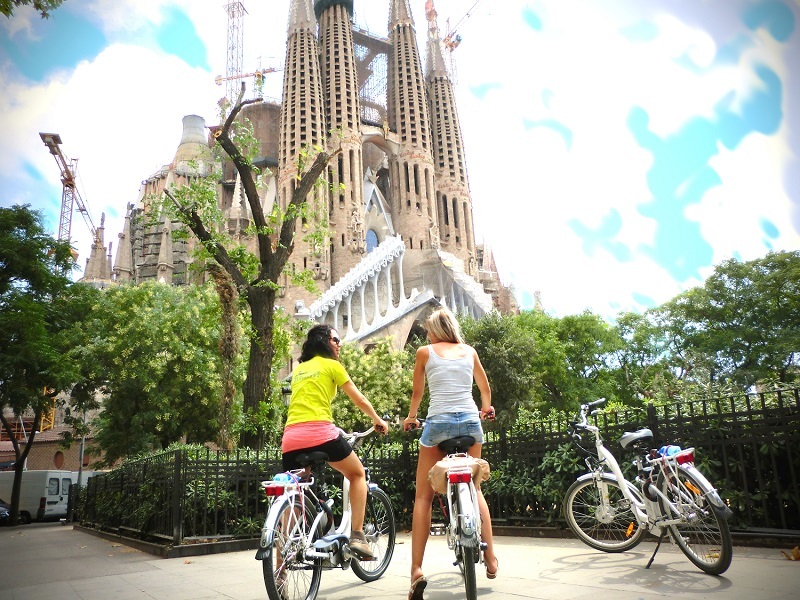 BikeSquare, in collaboration with Ebike Rent Barcelona, promotes an ebike city tour with visit to the temple of Sagrada Familia included. Barcelona, Spain, Sep 26, 2018 -- BikeSquare, the Italian startup for electric bike tours, is pleased to collaborate with E-Bikerent Barcelona, promoting the discovery of this enchanting city in a sustainable and attractive way. With this tour visitors will have a taste of the main sites of the old city center, with its Medieval districts of Gothic and Born. It will be an amazing cycling through the city center narrow streets, with its artisanal botigues of artists and local fashion manufacturers. Then, visitors will head towards the modern area of Barcelona, where they will immerse themselves in the Modernism architecture, the Catalan version of the Art Nouveau style. One of the most original Modernism example is the Basilica of the Sagrada Familia, an uncompleted but astonishing work of the Catalan architect, Antonio Gaudi. With this tour, tourists will have the chance to visit this incredible temple, thanks to a Skip the Line access for the inside tour of the Sagrada Familial with audioguide in multiple languages. The visit inside will take about one hour and at the end the bike guide will bring back visitors to the departure point, cycling along Paseo de Gracia Boulevard with the Gaudi Houses, Casa Batllo and Casa Mila, and along the famous Las Ramblas, with its street artists and typical botigues. The tour starts at 10.30 every day of the week and it’s available also with private guide. Price: 70€/per person (Sagrada Familia tickets included) - kids discounts. For more information please visit BikeSquare Barcelona For other ebike tours and ebike rentals, please check BikeSquare Barcelona Easy Rent or download the free APP. BikeSquare is an Italian startup specialized in electric bike tours and smart mobility. It offers a dedicated platform and APP for e-bike tours in Italy, Spain and Slovenia. BikeSquare is partner of E.ON, the German electric energy company, for services regarding the promotion of smart mobility.